A blinder of a catch from Rahul Dravid saw him becoming the first cricketer to hold 200 test catches. It was a straight delievery from Harbhajan that caught the edge of Steyn's bat. It looked like another half chance going down before Dravid quickly grabbed an unbelievable catch. A nice feeling, definitely... 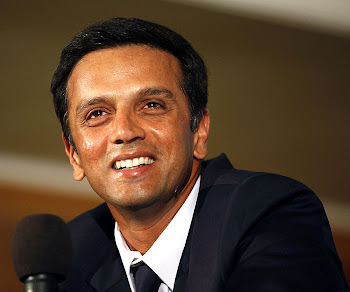 Among other things, it shows that, over the years, I’ve played a part in somebody else’s success... That too is a nice feeling... Also shows that I’ve played in an era of great bowlers... Anil (Kumble), (Jawagal) Srinath, Harbhajan (Singh), Zaheer Khan... It’s because of the quality of the bowling that I’ve got opportunities as a fielder... Indeed, just goes to show that, in the last 14-15 years in particular, we’ve had a good attack. Look, I’m not a great one for statistics and personal milestones. Of course, as I’ve said, it’s a nice feeling... I’ve always worked hard and I’ve put in the hours... Shows that if you put in the hours, then the rewards follow. Such catches either stick or they don’t... You hope that they stick... Steyn’s did, fortunately... The many hours of practice helped. There have been a few, Steyn’s certainly is one... The No.1 would have to be Mark Waugh’s, off Harbhajan, in the second innings at the Chepauk, in 2001. I think so, yes... Ricky Ponting (178), Jacques Kallis (166), Mahela Jayawardene (165)... Any one of them could do one better, for that’s the way cricket goes. Another feather in the cap for Mr. Safehands! The best ever test & ODI cricketer, one of the all time great test cricketer, Hats off to him for his best efforts. This Catch Was Like A 20 Year Old Jhonty Rhode's Catch ...More 2 come from dravid!